The most frustrating thing about this latest spasm of conservative backlash is the way it obscures Omar’s actual point about civil rights. But the fact is that Muslims have been in the United States before the states were created — let alone united. Historians believe that 15 to 30 percent of Africans enslaved and trafficked here were Muslim. Yet, some 400 years later we're still considered outsiders. The political right went immediately into attack mode. Brian Kilmeade, co-anchor of “Fox and Friends,” wondered if she was even an American first? Rep. Dan Crenshaw, R-Texas, described her remarks as “Unbelievable.” The NY Post featured a front page with Omar’s picture depicted below a photo of the 9/11 terrorist attacks. Now even President Donald Trump has joined in, tweeting a video that cuts between her quote and images of the Twin Towers. At a time when Omar has suffered bomb threats and assassination plots, such hyperbole on the part of the media and elected officials only adds fuel to the bonfire. The allegation is that Omar trivialized 9/11 by describing it as “some people did something.” I’m reminded of Cardinal Richelieu’s quote: “If you give me six lines written by the hand of the most honest of men, I will find something in them which will hang him.” Omar isn’t even being afforded six words. For those who care about accuracy, Omar’s full 20 minutes of remarks present the correct and clear picture of her opinion on terrorism. The “some people did something” quote refers not to the 9/11 terrorists or Saudi Arabia — whom she has repeatedly condemned — but to unjust elements within the U.S. government who have denied Muslim Americans the equality that every citizen deserves. Indeed, while some in the GOP are trying to use this moment to score cheap political points, Omar has been working hard to advance the 9/11 Victim’s Compensation Fund — a fund her GOP critics refuse to co-sponsor. Omar has been adamant that we must provide healthcare to our American heroes. Perhaps the most frustrating thing about this latest spasm of faux outrage is the way it obscures Omar’s actual point. Americans who are Muslim — or who are perceived to be Muslim — are constantly engaged in a battle to maintain their constitutionally guaranteed civil liberties. This is a history we refuse to reconcile with, but until we do, our nation will struggle to ensure justice for all. Too many have already forgotten the NYPD’s six years of warrantless spying on American citizens who are Muslim — all without a single “terror” lead, no less. What about the $445 million in annual tax dollars spent on the ongoing and unconstitutional indefinite detention of alleged terrorists at Guantanamo Bay — all held without being charged? What about the CIA torturing Muslim people in the most horrific manners — an unconstitutional practice tragically supported by a majority of Americans and defended by Republican and Democratic administrations alike? 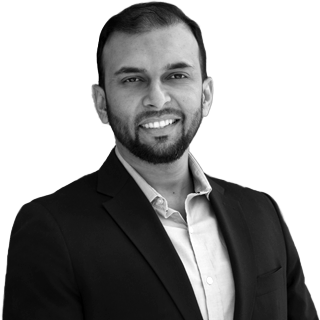 Americans who are Muslim — or who are perceived to be Muslim — are constantly engaged in a battle to maintain their constitutionally guaranteed civil liberties. While President Donald Trump has spent an immense amount of time working on his “Muslim ban,” he has almost completely ignored the problem of domestic terrorism — a fact that is confusing given that every single terror incident on U.S. soil in 2018 was carried out by a right-wing terrorist or white supremacist? In fact, as the New York Times reported late last year: “U.S. law enforcement failed to see he threat of white nationalism. Now they don’t know how to stop it.” The facts demonstrate that terrorism stemming from white supremacy, not Islam, is the greatest terror threat to America. Social media companies have been attempting to ban Daesh (ISIS) terrorists — yet have been slower to stop white supremacist terrorists — claiming free speech, despite the demonstrable connection to rising terrorism. This month another white son of a sheriff’s deputy burned down three historically Black churches — citing his hatred of Christianity as a reason — the White House remained silent. Instead, the president continues to slam Omar for calling Stephen Miller a white nationalist, something that many others have said previously without presidential rebuke, from Rep. Mark Pocan last summer to Miller’s own uncle and childhood rabbi. Thousand Oaks shooter joins list of white men rampaging in Pittsburgh and Tallahassee. So where were they radicalized? It is exactly this double standard that Omar referred to when speaking of the civil rights injustices imposed on American Muslims in a post-9/11 America. Instead, Omar — a woman who came here as a refugee to escape war and terrorism — is being accused of ignoring the things that destroyed her childhood. On Stephen Colbert this week, Omar again proudly affirmed her identity as an American. And Omar is not the only Muslim to suffer from this double standard. I recall getting another call from my brother, now a U.S. Marine sergeant, not long after 9/11. In the days after the attacks, he told me, he had been singled out and interrogated at the airport and asked if he had ties to terrorism. He was a U.S. Marine, in his military fatigues, traveling with his unit — but even that wasn’t enough to ensure others of his American loyalties. As I run for Virginia office, I’m already seeing critics question my own identity — despite my sworn oath as a human rights lawyer to uphold the US Constitution, and despite mine and my family’s years of service to our country. But that’s okay, because we will continue to serve all Americans, regardless of political party — that’s how we define patriotism. 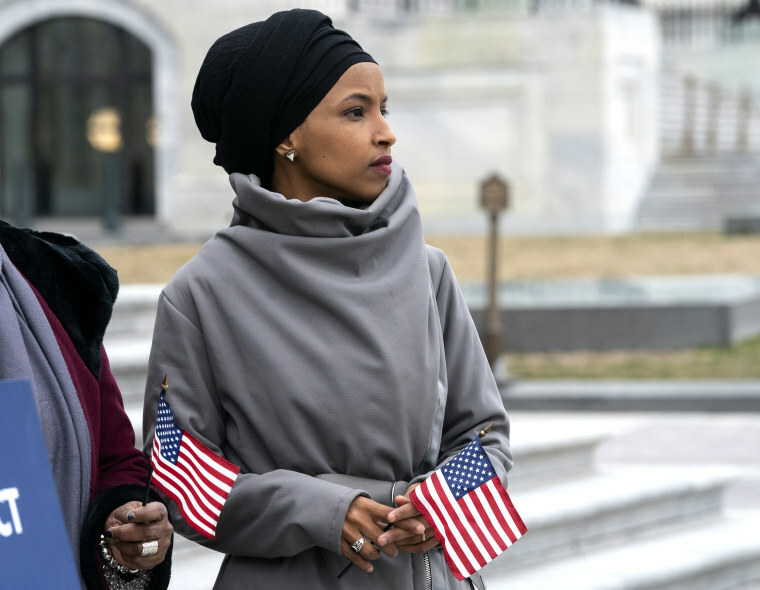 Likewise, Rep. Ilhan Omar’s patriotism is not the problem. Those who seek to undermine the Constitution’s promise of life, liberty and the pursuit of happiness are the ones we should be questioning.